In 2002, Mariano De Simone’s Celtic Lands album, produced by Stefano Torossi, was released on Italy’s Edizioni Minstrel label, reissued under the same title by Deneb Records in the spring of 2014. The fifteen original songs were composed and arranged by De Simone and performed by Aurora Barbatelli, Barbara Barbatelli, Stefano Cogolo, Stefano Pogelli, Cochi Quarta, and De Simone. Tracks include “Trolls,” “Druid Magic,” “Whisky Barrel,” “Elf Dance,” “Corn Fields,” “Borela Waltz,” “Blackberry Bush,” “Green Island,” “Irish Coffee,” “Red Fox,” “Autumn Fog,” “The Pub,” “Young Love,” “Old Folks,” and the title track. It seems the same album was also released by Minstrel with the title Celtic Fairyland around 1992, as well. 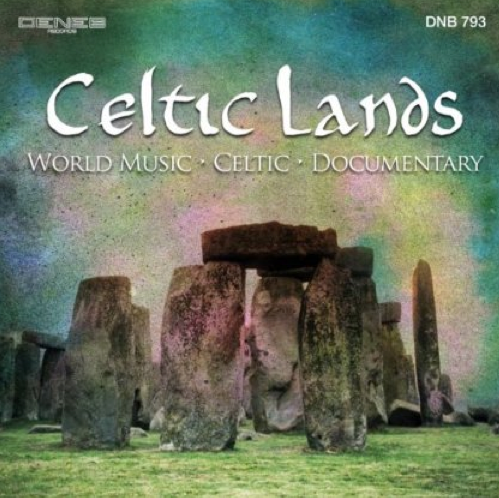 Short preview clips of each track on Celtic Lands are available at believeband.com (select the second item for Deneb Records). 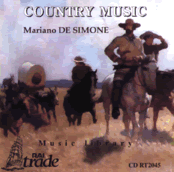 Mariano De Simone and Stefano Torossi recorded their first album together in 2000, Country Music: From Eire To The West. Released by Italy’s Rai Trade, the CD showcases one of Italy’s foremost experts on traditional country music in North America. 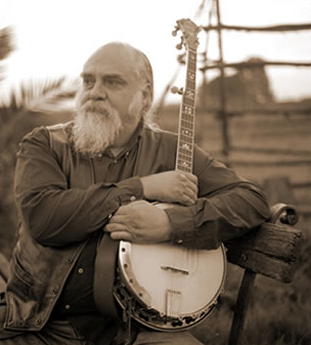 Besides banjo, De Simone plays fiddle, dulcimer, autoharp, mandolin, and dobro guitar, among other instruments. An author as well as a musician, one of his recent non-fiction works Benvenuti In America! (Welcome To America!) tells the story and the music of three ethnic groups: the Scottish-Irish in North Carolina, the Cajuns in Louisiana, and the Tejanos in Texas and Mexico. One of De Simone’s next projects after making Country Music with Stefano Torossi was working as a consultant on Martin Scorsese’s Gangs Of New York. De Simone also performed music in a pair of scenes. A further eight compilations were released between March and April 2014 that feature the compositions of Stefano Torossi by himself and with others. 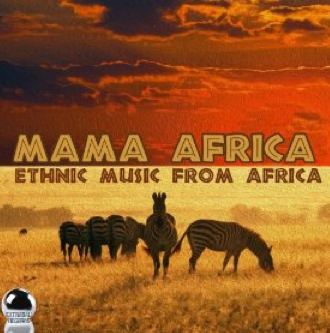 For example, Mama Africa: Ethnic Music From Africa released on ExtraBall Records in the third week of March features “Jungle Magic” by Piero Montanari and Stefano Torossi. 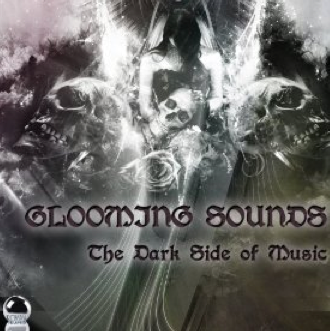 A second composition by Piero Montanari and Stefano Torossi, “Orbit” was part of the Glooming Sounds: The Dark Side Of Music compilation released in the first part of April. (An interview with Montanari in which the bassist-composer discusses several of his classic library creations as well as the Ulysses: A Traveller Through Time and Space (2009) album he made with Stefano Torossi, the source of both of these tracks, is HERE). 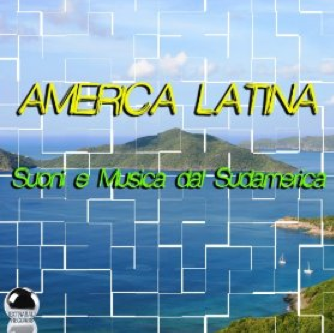 Federico Ferrandina and Stefano Torossi’s “Voice Of Cuba” appeared on América Latina: Suoni e Música dal Sudamerica, a compilation from ExtraBall Records. This track originally appeared on their Guitarra: Acoustic, World Music, Folk (2009) album. In fact, the same song also was used for Dreaming Cuba: Latin Musical Memories, a download compilation released by ExtraBall Records in mid-April. (An interview with Ferrandina that looks at the albums he made with Stefano Torossi, including Guitarra, is HERE). 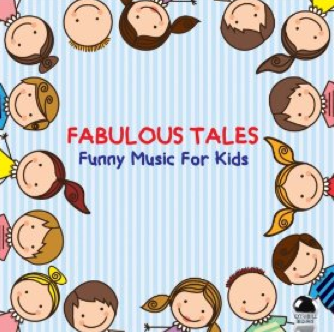 “Baby Boomers,” another Ferrandina-Torossi original composition, is one of eight songs by Stefano Torossi, either alone or with others, on the Fabulous Tales: Funny Music For Kids compilation released by ExtraBall Records in the last week of April. Besides “Watch Your Step,” “Village Dance,” and “Children’s Play” by Torossi, “Tatoocho” and “Tarzan’s Yawn,” both by Fabrizio Fornaci, Piero Montanari, and Torossi, are included. In addition, Alessandro Varzi and Stefano Torossi’s “Children Fun” and “Country Boy,” a composition by Claudio Maiolo and Torossi are in the collection of children’s novelty songs. 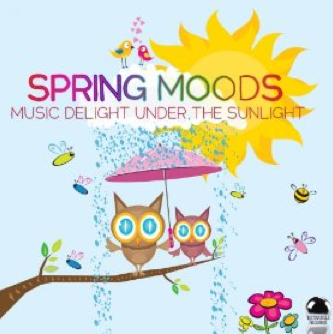 In the second week of April, ExtraBall Records released Spring Moods: Music Delight Under The Sun, a compilation featuring a pair of songs by Stefano Torossi and Alessandro Varzi, “Harmonica Reggae” and “Sightseeing,” plus “Baya,” a tune by Leonardo Svidercoschi and Torossi. “Harmonica Reggae” first appeared on Torossi and Varzi’s Pop Harmonica (2012) album. 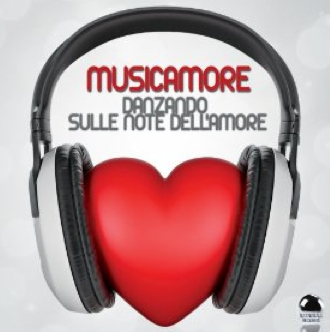 At the beginning of April, ExtraBall Records released Musicamore: Danzando sulle note dell’amore, a download compilation with three compositions by Stefano Torossi including “Summer Love” with Maurizio Majorana and Antonello Vannucchi and “Prayer” and “Universal Love,” both with Leandro Piccioni. “Summer Love” is taken from Back In Time (2013) with Antonello Vannucchi and Maurizio Majorana and “Universal Love” from the Season’s Greetings (2009) album featuring a host of players. The most recent ExtraBall Records’ album to feature Stefano Torossi’s music is the Loungy Shivers: 16 Hot Lounge Tracks To Chill compilation released at the end of April. “Cocktail Hour,” composed by Roberto Masala, Claudio Pizzale, and Stefano Torossi,” originally appeared on the Ethnometroplis (2011) album. To wrap-up this review of March and April 2014 new releases, it’s back to Mariano De Simone. 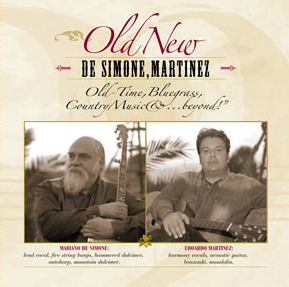 Four songs from De Simone and the Old-Time, Hard Times band, “Deportee,” “The Preacher and the Slave,” “Paddy Works on the Railway,” and “Blind Fiddler,” were uploaded to MySpace.com in 2007. And a downloadable MP3 of “Sally Anne,” the ninth track on his latest album with Edoardo Martinez, Old, New: Old-Time, Bluegrass, Country Music & … beyond! (2010) is available HERE. Posted on 9 May 2014, in Album Spotlight and tagged Antonello Vannucchi, bluegrass music, Deneb Records, Edizioni Minstrel, Edoardo Martinez, ExtraBall Records, folk music, Mariano De Simone, Stefano Torossi. Bookmark the permalink. Leave a comment.